Lionsgate Announce 'THE HUNGER GAMES: MOCKINGJAY' Will be Split Into Two Movies! The third chapter of the The Hunger Games trilogy is officially set to be split into two movies. The Hunger Games: Mockingjay Part 1 will be released on November 21st 2014 & The Hunger Games: Mockingjay Part 2 arriving on November 20th 2015. The first sequel, The Hunger Games: Catching Fire, is set to arrive November 22nd 2013 & features the return of Jennifer Lawrence, Josh Hutcherson, Liam Hemsworth, Lenny Kravitz, Elizabeth Banks, Stanley Tucci, Donald Sutherland, Toby Jones & Woody Harrelson. Jena Malone & Philip Seymour Hoffman join the cast. Francis Lawrence will direct The Hunger Games: Catching Fire. Yes this is exactly what they did with the Twilight franchise. 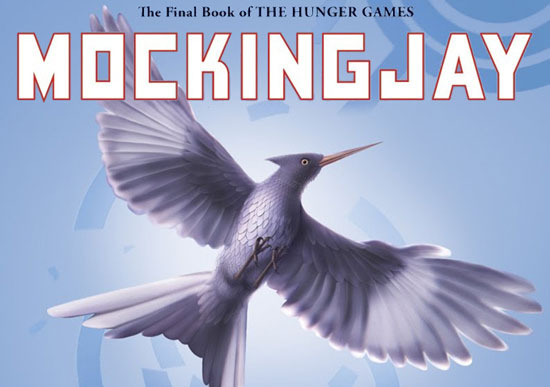 I'm reading: Lionsgate Announce 'THE HUNGER GAMES: MOCKINGJAY' Will be Split Into Two Movies!Tweet this!